Biathle is a sub-sport of modern pentathlon involving a run, swim and run. The event, which took place at the Cherveno Zname (Red Flag) sports complex in Sofia, featured a total of 270 competitors from 16 countries. 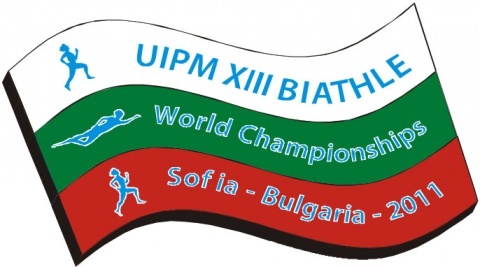 The13th Union Internationale de Pentathlon Moderne (UIPM) Biathle World Championship included 11 age groups starting at 10 years. Bulgaria was represented by 66 athletes, most of them in the young adult categories. Bulgarian athletes pocketed one silver (Youth D Boys, up to 12 yrs) and four bronzes (Youth E Boys and Youth E Girls, up to 10 yrs; Youth D Girls, up to 12 yrs; Youth C Girls, up to 14 yrs) in the team ranking. In the individual races, Dimitar Iliev ranked third in his Youth D Boys category and Georgia Kadoglu also won bronze in her Youth C Girls group. » WORLD CHAMPION! Petar Stoychev is the Fastest in the World in Swimming in Icy Waters!